I accept Carrier Community Terms and Conditions and Data Privacy Protection Policy. The SMS and A2P Messaging industry is changing and growing fast. More enterprises are using sms messaging services to provide better customer services to their clients. 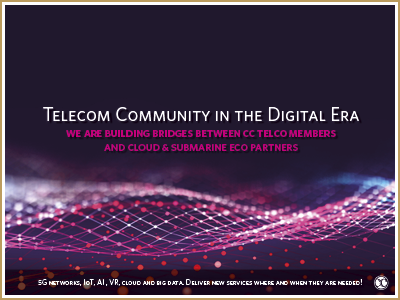 Carrier Community (CC) is organizing for its members the 2nd annual CC – SMS Messaging Summit which will take place on 13th & 14th May 2019 in Waldorf Astoria Hotel to bring together mobile network operators (MNOs), aggregators and wholesale carriers, but also leading messaging players and technology innovators. At the summit, you could also meet Bulk SMS – Wholesale SMS – SMS Hubbing – SMS Resellers – SMS Aggregators – SMS and MMS platforms. This is the area to meet our SMS Telecom Industry community members. CC is also organizing various executive discussion panel sessions to address the latest industry hot topics, trends and case studies while discussing news opportunities and challenges within the messaging industry. Key Note Speech & Executive Round-table Panel Discussions Session. Executive Round-table Panel Discussions Session. Topic: How do operators face the increasing threat of fraud in wholesale business? Executive Panel Round Table Discussion Session. Key Note Speeches & Executive Panel Session. (please visit the Awards 2019 page to learn more. All GCCM registered delegates have access to the Ceremony Basic Lounge, please RSVP). Waldorf Astoria Berlin welcomes you with modern luxury and unparalleled Waldorf Service. This graceful urban oasis in the heart of Berlin’s City West provides exclusive experiences at Germany’s first Guerlain Spa, Berlin’s highest suites and the 15th floor Library Lounge. Enjoy our Art Deco style and panoramic city views. Based at Lago di Como in Italy, VSC provides strategic advisory services in M&A, Business Development & Media for the telecommunication industry. Over the last 25 years, Erik developed extensive expertise and deep domain knowledge working at major telecom companies. His international career includes senior & executive level positions. Over the years, Erik has been a regular speaker & moderator at major international telecom conferences. 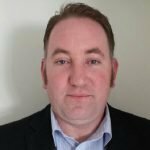 An expert in wholesale voice and SMS messaging with over 20 years’ experience in the telecom industry as former VP of Sales & Carrier Relations at tyntec, one of the largest A2P SMS service providers globally and as Regional Manager at Verizon where he headed up a team responsible for international voice services in Europe. 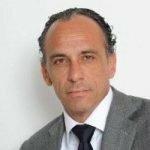 José also previously managed operator relations in Central and Southern Europe for Netsize, a Gemalto company. José holds a degree in business administration from the Wolfgang-Goethe University in Frankfurt a. M.
Launch SMS services / Shift from Voice to Messaging / A2P SMS Monetization / MNO revenue assurance / SMS platforms / P2P SMS Cost optimization / Training Sales and Carrier Relations / Wholesale Voice / VoIP / Integration of Operators, Carriers, Aggregators into value chain of OTT services / Off-net connectivity for OTT services. 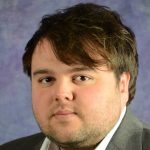 Sam Barker is a Senior Analyst with Juniper Research. Sam’s focus areas lie across IoT & M2M and Telco Service Provider streams, covering key research topics including, mobile messaging, mobile voice, A2P messaging, 5G and Virtual Reality. He previously worked as project support analyst for a major online retailer, planning, forecasting, and reporting on budgets for large company projects. Fabian Teichmueller leads Partnerships for Communications Products & Services for DACH, Central & Eastern Europe, Russia and Italy. Since joining Google in 2010 he worked in various marketing roles as well as leading Android Partnerships for the UK. 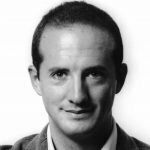 Andreas is the Commercial Director of Yuboto, a leading acclaimed and 7 times awarded Mobile Marketing Company in Greece. He joined Yuboto in 2012 and holds almost two decades of experience in telecommunications industry. He holds great motivation abilities and inspires teamwork. He is a sales oriented person and passionate for high value customer service performance. 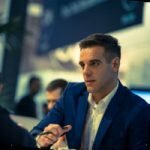 Andreas will present the 2nd Generation Mobile Marketing Tools, that give access to unlimited and personalized mobile marketing campaigns via a simple SMS landed on a smart phone, and all 2nd Generation tools available at Yuboto's mobile marketing platform: "Yuniverse". Andreas is a qualified Professional Business Trainer of National Organization for the Certification of Qualifications & Vocational Guidance and author of numerous best-seller Sales books and manuals. Supporting Telefonica's operating businesses across our global footprint. Helping to secure the networks, monetise Telefonica's share of the growing global A2P market and enrich the messaging portfolio withnew products and services such as RCS. Surash leads the RealNetworks business in EMEA and has over 25 years of experience in telecommunications. 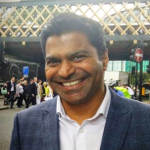 Prior to joining RealNetworks, Surash worked at mGage, the global mobile engagement provider, where he held roles of Chief Strategy officer as well as COO for Europe. Surash was also previously instrumental in helping Velti through its meteoric growth and NASDAQ listing. Surash has worked for KPMG, Accenture, O2 and BT in various consulting and business development positions. Surash has an MBA from London Business School and a BEng(Hons) in Electrical & Electronic Engineering from Brunel University. Nick is Chief Insight Analyst and Founder at Mobilesquared, and specialises in all aspects of the mobile and telecommunications industries, including; messaging and OTT, unified communications, mpayments, the enterprise, mobile marketing and advertising, premium rate services, automated platforms, mobile internet and social media, apps and content, as well as networks and technology. Nick oversees all aspects of client projects; research, analysis, data modellling, and creative output, to drive awareness of clients' brands through white papers or reports, or provide our clients with market positioning and competitor analysis to support company expansion and product launches, as well as Mobilesquared’s own reports, including Global A2P SMS forecasts, 2015-2020. 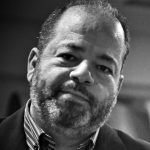 Nick speaks at conferences around the world, and is a judge for the Global Mobile Awards, the MEFFYS and the EMMAs. In his time as an analyst, Nick has written strategic industry reports on all of the subjects listed above. Dario Betti worked in creating new business opportunities in the fast-changing digital world. He enjoys the cultural challenges of working in different countries it gives deeper and richer engagement. Previously he has also worked in the Middle East, for Qatar based group Ooredoo (in Qatar, Myanmar and Indonesia). For Ooredoo he was part of the launch team for its greenfield mobile operator in Myanmar and repositioned the mobile brands of Indosat in Indonesia. He has also worked for XL Axiata. finding new ideas and developing them in strong businesses in this dynamic, and unique market. At T-Mobile International / Deutsche Telekom he brought new service concepts and proposition into life focusing on new interface for data services (from portal to mobile apps). A key aspect of my work: included the international strategy for rolling out a portfolio to the entire European portfolio of mobile operators and the focus on transforming the company into customer centric organisation. In his previous role as a Senior Analyst at Ovum, the consulting company, he specialised in the management and regulation of new media. At Ovum he led research and consulting projects on many different topics including digital television, video on demand, mobile multimedia messaging and business models for mobile content services. As a member of the [email protected] group, he advised operators, regulators, network and device vendors on services and product strategies and technologies including video, gaming, adult services, music, and location-based services. 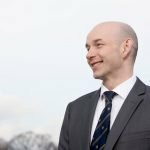 Prior to joining Ovum, he completed an MSc in Media Management from the University of Stirling and a BA in Communication Studies and Management from Leeds University. He is fluent in Italian, English and Spanish. 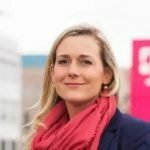 Bianca has been with Deutsche Telekom for the last seven years and currently works on the development and evolution of communication products and Rich Business Messaging. She is a conversational enthusiast with a broad understanding of the customer impact and business benefits that RCS can deliver. Bianca has experience in both large, multi-national and small-medium enterprises in a variety of roles including sales, marketing and product management. 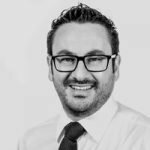 Fabrizio Salanitri is CEO and founder of HORISEN AG, Swiss software company with 17 years’ long experience in telecommunication software and application solutions. Fabrizio’s in depth knowledge and experience in SMS business resulted in state-of-art SMS Platform, cloud based and carrier neutral suite for A-Z SMS Wholesale business. During his career, he’s been working with companies and industries of all sizes. Therefore, all HORISEN’s products and services are perfect for both enterprise and retail customers – and all of them have one thing in common: they are designed professionally and they are meeting the highest production quality and standards. 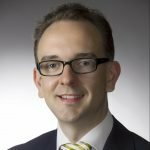 Dr René Arnold is Head of Department Markets and Perspectives at WIK – a leading German think tank focusing on ICT Policy. He holds a PhD in Marketing / Consumer Behavior from the University of Edinburgh. His research revolves around the socio-economic impact of OTT applications as well as digitization across various verticals. Recently, he has published various studies on mobile messaging applications. 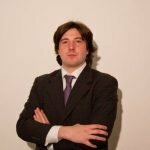 Prior to joining WIK, René was a research analyst with the consulting subsidiary of the Cologne Institute for Economic Research. Next to his professional career, he has engaged as a guest lecturer at various universities across Europe. During the last ten years I have specialized in mobile, mobile marketing and mobile payment with even more business development and management responsibilities. I started working in Wireless Solutions as System Specialist, with specialization in Telco and Aggregators setup. After the acquisition of Wireless Solutions by DADA I was appointed as Interconnection Senior Account. 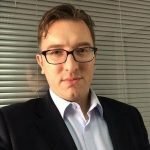 During my last period in DADA I was appointed as Revenue Assurance Manager, in that position I integrated my skills with the analysis of billing trends in order to optimize and maximize the revenues and I consolidated my expertise in the business intelligence for the Italian Country on this field. I was also active part in implementing the CASP (Premium Services Code of Practice) as member of the working team. After my experience into the DADA Group, I moved in Mobyt, the first Italian Aggregator (based on traffic volume) as Routing & Procurement Manager with responsibility on LMA (Large & Multinational Account), then I moved to Milan to enlarge my network. Started the career in ARTHUR ANDERSEN MBA CORPORATE FINANCE DIVISION, then CAP GEMINI ERNST & YOUNG SAS (strategic advisory services). Worked since 2001 in the public utilities (mainly power generation). Then in 2007 he set up a company, with a focus on renewable energy, that has been sold to a state owned company in Italy in 2011. Since then he explores different industries (hospitality, specialty food) in order to optimise value creation. Dawood has come from a long history within the mobile beginning at the edge with mobile parking, growing into mobile marketing and pioneering the regulatory framework of set tariff SMS short codes in Ireland as early as 2001. After leading Ireland's introduction to mobile marketing Dawood moved closer to the core of mobile network infrastructure. He is currently CEO at Cellusys whose systems at the core of controlling signalling for security, roaming, mobile broadband and IoT in mobile networks serving over 600 million subscribers. 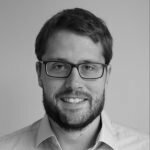 Henrik Wapner has the role as a Strategic Business Developer within messaging at Carrier relations at Twilio. Henrik has several years within the business and is responsible for the commercial part with providers. Henrik has built a strong network within the market for daily operations and organized a structure from a macro to a micro level on how to optimize the supply and demand for long- and short-term traffic streams from end users. Organized, extroverted, good skills in dealing with complex situations, a positive attitude towards the environment, responsible, confident, strong sense of justice, equality and fairness, able to work in an environment and communicate with people from different backgrounds and cultures gained through my business and private experience, able to accept criticism. My objectives are profitability, productivity, growth, core values, customer service and change management. I consider myself a positive person with high goals and a strong motivation to achieve the same. I am used to work in a team, which I find very effective for different business categories. On the other side, I am also familiar with the importance of individual work. Working in direct contact with people, I realized that even though there are so many different personalities, I would like to continue working in such an environment. Since my young years I loved foreign languages, so I have dedicated my time to learn German and English. And working with people is a great way to use this knowledge. James is a technology expert with a passion for helping businesses communicate effectively with their customers. Over the last 20 Years, James has helped define one of the most successful applications for communication, 'SMS', and bring new programmable communication services to the market. As Carrier Relations Director for Nexmo, James is responsible for making sure that Nexmo's leading communication platform is connected to every market globally. This involves working with each region and removing any local complexity, so our customers can focus on what they do best and provide brilliant services locally. These customers include Uber, Grab taxi and AirBnB. 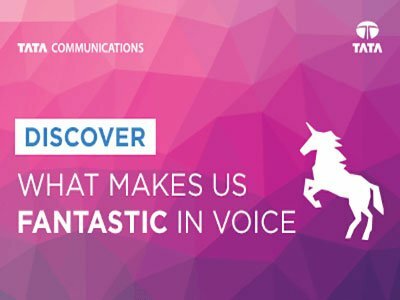 With Nexmo, businesses can connect to a simple platform (for messaging and voice services) rather than developing their own communications solutions. Prior to Nexmo, James led messaging for O2 UK and went onto run Telefonica's global messaging business. The role covered all of Telefonica's 19 markets across LATAM and Europe and James was responsible for creating and delivering the global messaging strategy. James is a main board Director for the Mobile Ecosystem Forum (MEF trade association), where he has worked with both enterprises, operators and regulators to create the 'Future of messaging program'. James was privileged to work with Wefarm (the worlds largest farmer-to-farmer digital network) as a Telefonica business mentor and is currently a board advisor. Julia Lehmann is a pioneer of Digital Transformation and has executed more than 100 digital projects across many industries over the past ten years. She has participated in and managed projects with leading brands, including DAX 30 companies. As Founder of OnFore she is helping customers with the strategical and technical development of digital business models and products, specialised in the area of AI and Cognitive Computing. 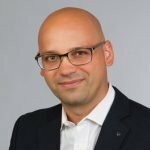 OnFore has built the first chatbot for WhatsApp Business in Germany and expects a reduction of up to 70% of services costs through automation while improving customer experience. 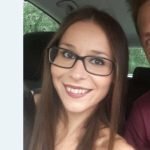 Since 2019 Julia is also a lecturer for Digital Marketing & Management (MBA) at the University for Applied Sciences in Nürtingen. 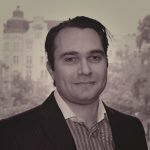 James Williams is the Founder and CEO of MrConnectivity, a consultancy practice having Mobile Engagement as its principal focus; A2P SMS is a core competence within that. Clients include Mobile Network Operators (MNOs), content Aggregators, API companies, Messaging Hubs and technology vendors. James founded MrConnectivity four years ago, leveraging 20 years’ Telecommunications experience. 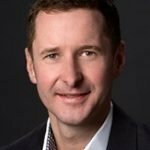 A large part of the past five years has been spent guiding MNOs globally in securing their A2P SMS channels, effectively monetising all traffic and helping them develop comprehensive Mobile Engagement strategies and multi-channel product suites that can be used by their Enterprise clients (Inbound and Outbound). Technology alone is not the ‘silver bullet’ and a holistic approach is required. Companies just need to bring their brand and MrConnectivity can deal with the rest. Yuboto was founded in 2007 and is a leading Greek company developing and providing comprehensive mobile marketing services and advanced telecommunications solutions. Yuboto has created “Yuniverse”, an integrated online mobile marketing platform that allows anyone to create effective campaigns through SMS and MMS+®. Furthermore users can now create and manage customer loyalty systems (mobile loyalty cards), send electronic mobile tickets (mobile ticketing) and promote products or services through electronic coupons (mobile couponing). Yuniverse has been awarded, with the Golden Award in Best Mobile Services Applications 2015 and the Silver Award in Best Mobile Advertising Campaign 2015. Yuniverse is a pay as you go platform and is offered as “Exclusive Yuboto Partnership” for retailers or “White label mobile marketing platform” for wholesalers. Discover Yuniverse at https://services.yuboto.com/yuniverse/ and try the service with the free credits provided. Alaris Labs is an innovative dynamically growing company focused on creating advanced solutions for telecom carriers and service providers. Our expertise is based on more than 10 year experience in the telecom market accumulated by our staff and is backed by extensive knowledge of the leading-edge technology and deep insight into clients’ needs. Alaris Labs has successfully developed and implemented more than 100 projects all over the world. Alaris SMS Platform is a multifunctional platform (SMS application server) for comprehensive SMS traffic management. It integrates various modules, i.e. routing and billing ones, with the in-house switch on top of it. Alaris inVoice solution offers an unprecedented combination of full featured billing, flexible routing and user-friendly business process automation tools. Cytech is a mobile technology provider and trusted partner for companies around the world (15+ countries in 5 continents), accustomed to working across timezones. Our flagship product, mCore, is a complete mobile business suite for mobile messaging, mobile marketing and mobile payments. It is developed entirely by Cytech's in-house development team and was initially launched in 2006. It is a market-proven software, handling over 1 billion SMS/year, as well as big scale marketing campaigns with over 10 million mobile coupons. mCore also includes the first Business Intelligence Tool – mCore Dashboards – specifically designed and implemented for the mobile messaging & payments industry. Adding our accumulated experience and the constant pursuit of innovation and technology, Telecall is now synonymous with quality and efficiency. Reference in the telecommunications segment and combined with new concepts, we are a service provider that offers complete and intelligent solutions in telephony and internet business. Ensure the best service and the lowest fares in all mobility and security that Telecall only provides for you. HORISEN is a product-oriented software company specialised in developing cutting-edge products for Telecom and Mobile Marketing. We develop software solutions for Mobile Operators, Voice & SMS Carriers, SMS Aggregators, OTTs and Enterprises of all sizes. Our applications simplify, automate and accelerate their work and enable greater efficiency. We develop software solutions for telecom providers, carriers, SMS aggregators, mobile operators, OTTs and enterprises of all sizes. Our software and business applications combine award-winning technology with 20+ years of SMS industry expertise and provide a secure environment to conduct business. HORISEN's in-house developed products empower telecom service providers to run SMS wholesale business. Enterprises, besides running their own messaging business, can use our products to carry out mobile marketing activities to support their sales, both online and offline. Our SMS Platform is a carrier-grade software solution built for SMS Wholesale business. It is a fully-equipped SMS trading platform for wholesale mobile operators. SMS Platform is a 100% carrier neutral, fully scalable cloud-based solution, truly designed to support end-to-end SMS hubbing business. We won two prestigious awards at GCCM Awards in Berlin 2018, for the Best SMS Platform Provider and Best Innovative Application Provider. Telefónica International Wholesale Services provides world-class wholesale services to fixed and mobile operators, service providers, carriers and OTT-Media companies. 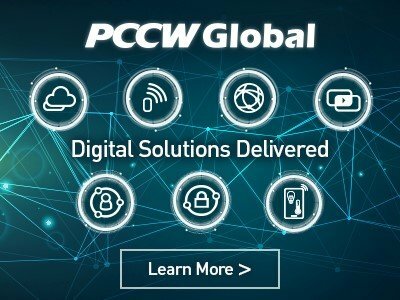 Our global portfolio includes Voice, Network Services, Mobile and Satellite services, innovative Digital solutions (Security, Cloud, IoT, Big Data) and end-to-end solutions for enterprises. 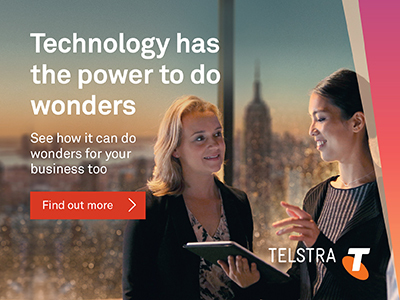 As a leading global provider of a wide range of integrated communication solutions, Telefónica has a global footprint, with presence in over 40 countries (particularly strong in Latin America & Europe) and service reach in more than 170 countries. iBasis is a leading international voice carrier and provider of value-added services for mobile operators. We offer a comprehensive portfolio of voice termination and data services, including messaging, signaling and roaming, for many of the world’s largest fixed and mobile operators, as well as voice-over-broadband (OTT) service providers. iBasis has been a pioneer in the use of IP for real-time communications since its inception in 1996 as one of the first international wholesale Voice over IP carriers. The company rapidly grew to be one of the largest carriers of international voice traffic in the world and in 2009 became a subsidiary of Royal KPN N.V., the national carrier of the Netherlands. iBasis continues to be an innovator, determined to make what’s next work globally, from the highest quality international Voice service (including HD) to Enterprise SMS to LTE Roaming and VoLTE. We enjoy the challenges of a dynamic and competitive market and the opportunities to collaborate with customers to solve their most urgent connectivity challenges and capitalize on exciting growth opportunities. © 2017 Carrier Community. All rights reserved.